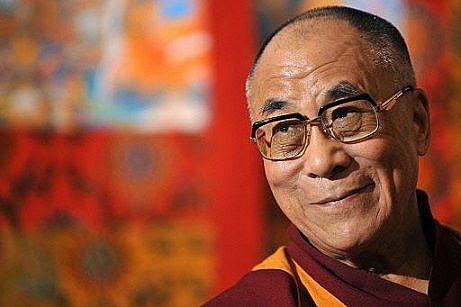 It was 1990 in Dharmasala, at the Mind and Life Conference when Dr Sharon Salzberg (known for her work on Loving Kindness) asked the Dalai Lama about self-hate. This startled the Dalai Lama very much and he was unable to comprehend how people could come to hate themselves. Yet when we look around us at friends, family, colleagues or acquaintances, we see self-hate being manifested. I recall a client (let’s call him Jason) who had been hit by a taxi late at night whilst trying to cross the road at a marked junction and as a result had developed posttraumatic stress disorder (PTSD). What struck me and made me winch was that he constantly pinned the fault on himself. He should not have been in the driver’s blind spot. He should have checked before crossing. He stepped out too abruptly. He should not have developed PTSD and caused his parents so much grief; not to mention how much they have to pay for him to see a psychiatrist, a psychologist, an orthopedic surgeon for his fractured femur and a physiotherapist. He was at fault and shame on him – that was the message that constantly came out from him. The interesting thing is that Jason had no difficulties being empathetic and compassionate to others. He just had a problem being compassionate to himself; somehow he has left himself out of the compassion equation. Imagine if you would, that you are surrounded by people who constantly put you down, who point out your faults, who shame you, who bully you. What would that do to you? I would guess that you stand a good chance of being very anxious and tense and perhaps even become depressed. The same thing can happen when the bashing comes from within us! Radical acceptance in this instance means making space within ourselves to accept every aspect of ourselves. How can we do this practically? Step 2. List down the characteristics of each part in detail – if it were a person, what personality does it have? What does it typically say to you or do to you? Step 3. Turn your attention inside yourself and observe mindfully all the parts that come up. As they arise, notice how you tend to react to them. Instead of rejecting them, imagine making a space in your mindscape and allow them to be there. Give each part of you its own space in your mindscape. With repeated practice of these steps, you might find yourself feeling more compassionate with yourself. Dr Wee Hong Tan is a bi-lingual Clinical Psychologist practicing at Psychology Consultants Newmarket on Mondays, Thursdays, Fridays and Saturday mornings. Click here to read more about Dr Wee Hong Tan.